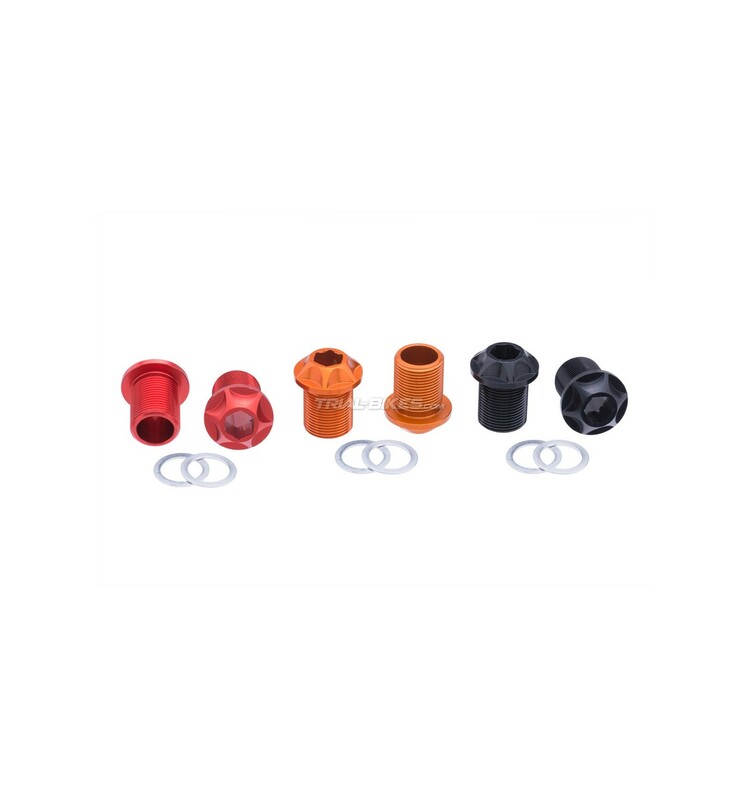 - New M15 crank bolts from Spanish brand Monty. - Ultralight, made from high quality 7075-T6 aluminium. - Low-profile conical head features 6 recesses that help save unnecessary weight, and also make the bolt look great. 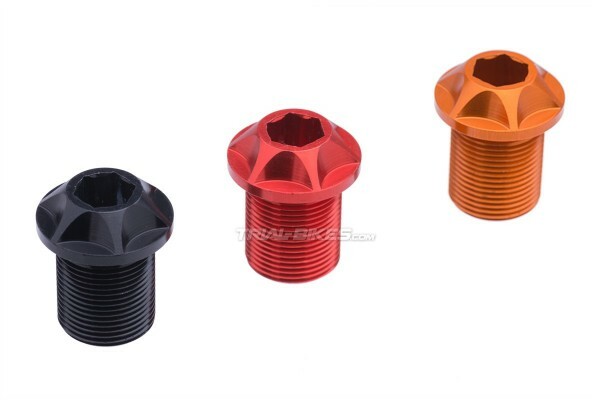 - 18mm length and M15 thread, so they’re compatible with most ISIS bottom brackets. - For use with an 8mm Allen key, which can go through the entire bolt for an easier process. 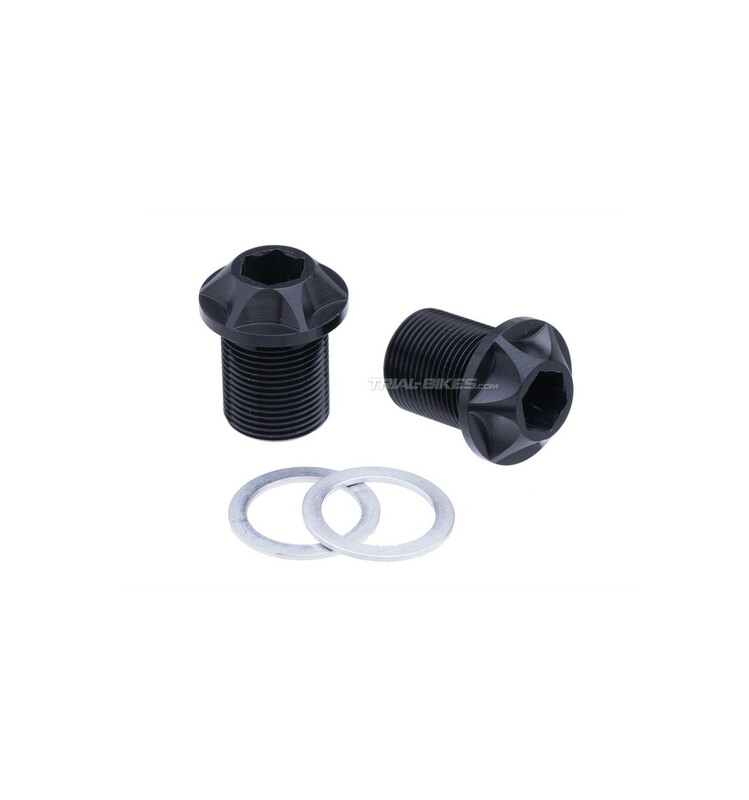 - Sold as a pair, with a couple of 6061-T6 aluminium washers (one for each bolt) that must be used with the bolts. - Note: it’s not recommended to use these bolts to set up the cranks; use some steel bolts instead and then put these aluminium bolts back on. 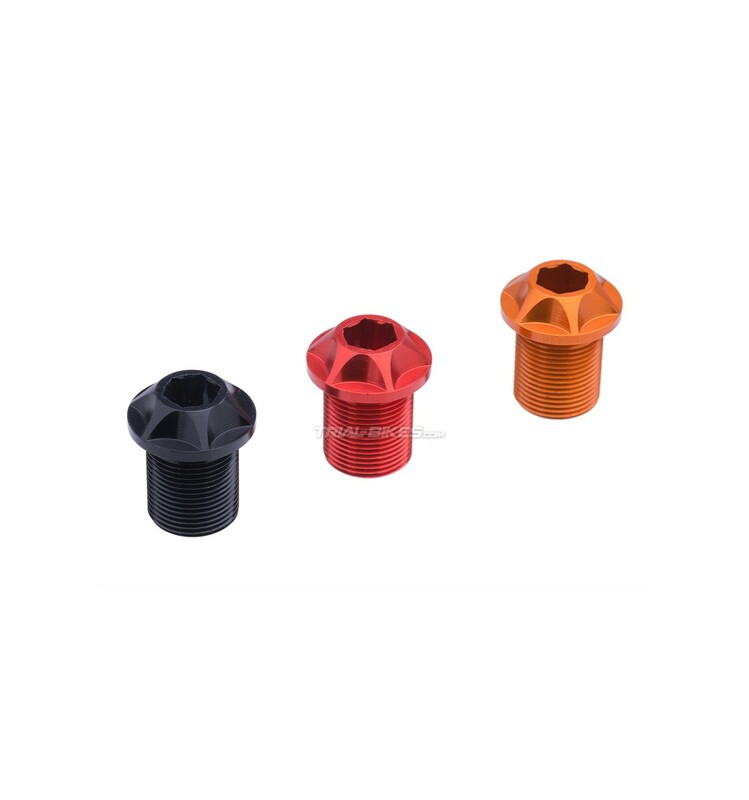 - Three options available: anodized black, orange or red.